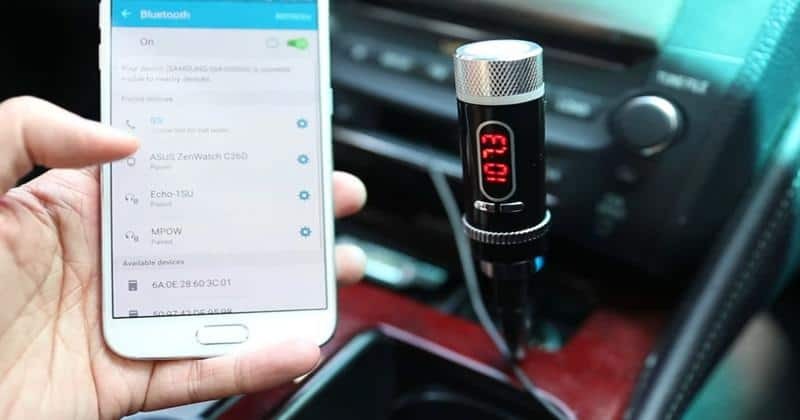 ​An FM Transmitter is a low power transmitter that takes a signal from an audio device such as an MP3 player or any other source and broadcasts it to any standard radio. An FM transmitter plugs into a standard jack of any device and then broadcasts the signal it receives so that any radio around can pick it. Generally, the sound quality of the MP3 players or similar devices isn’t very good or high in volume. So an FM Transmitter allows the music on these devices to be played on bigger and better audio systems at home or otherwise that have a far better sound quality. 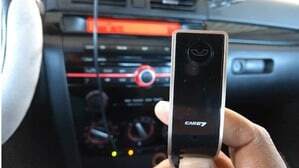 They are mostly used in cars where they easily overcome the limitations caused by audio systems without Bluetooth or an auxiliary input jack and connect with audio players to play music through the player in the car. However, they are also used in other situations such as playing music from a computer, television and other similar devices. As stated above, FM transmitters are low power devices with a short range of 100-300 feet. They normally broadcast on FM frequencies ranging from 87.5 to 108.0 MHz. In US and Canada though, they transmit over a slightly different range of 88.1 to 107.9 MHz. Is it Legal to Use An FM Transmitter? Yes it is. In the US, you don’t need a license if the FM transmitter has a Maximum Effective Radiated Power (ERP) of 0.01 microwatts or 250 µV/m measured at 3 meters. Also, no license is necessary if the transmitter is less than 100 mW. The market is abuzz with numerous transmitters with different price tags. So you must do some research before you put your money into one. Most transmitters are affordable but you must see which features are available at a given price point. Your FM transmitter should have manual tuning. You will need it to avoid interference from local music stations. Transmitters that come with only preset frequencies and do not allow you to change them can have potential issues. Another important thing to note is the input options the transmitters come with. Most, if not all of them have an audio jack to help them connect to a music player but then there are some that additionally have USB connections, SD card slots etc. which can be huge assets in certain situations.